Stay tuned for the full program for the 24th Annual MayWorks Festival, but in the meantime, here is a taste of what we’ve got planned for MayWorks 2018! A reading of selected Italian poets in Italian and English by the singer Liliana Moscarda-Romanowski and Ron Romanowski. With an introduction by Ron Romanowski, author of the 2017 poetry collection, Butterflies of the North Woods. Our world culture has inherited many ideas and principles that we have come to value as the basis of civilization from the artists of Italy, specifically its poets. You are cordially invited to come out and enjoy some of their work. Pete Seeger’s The Incompleat Folksinger is a 2-act solo play about the early life and times of the late, great folksinger. Based on Seeger’s 1972 autobiography, it imagines a concert “somewhere on the road, 1970”: in his own words and the music of many, he looks back on 35 years of ‘musical activism’: on the road supporting the union movement with mentor Woody Guthrie, meeting his great love Toshi, confronting government committees(HUAC) and media blacklists, while singing in defence of the poor and oppressed on the front lines of the civil rights movement, and in conflict zones overseas. As the audience sings out with all or part of 29 songs, the concert transforms into a collective expression of ‘the power of song’, and a unique theatrical experience for ages 8-98. Tickets $20.00 at ticketfly.com, Organic Planet, West End Cultural Centre or at the door. CHOIR DISCOUNTS! GROUP RATES (10 or more) call West End Box office at 204.783.6918. Inspired by Joshua Key and American war resisters in Canada, Deserter is a new play by award-winning, Winnipeg-based playwright Daniel Thau-Eleff. Deserter follows Curtis Colby, a fictional war-deserter who is detained for using a forged passport. He finds himself in a tug-of-war between the holding cell in the present-day, his time in Iraq, and a small town in Manitoba, where he and his wife Jessica are desperately trying to lead a normal life. Deserter explores moral behaviour in a complex world, raising questions about the relationship between civilians and soldiers in countries with (supposedly) volunteer armies. When should a soldier say no? What morality can we hope for in war? And what is the role of ordinary citizens? Advisory: strong language and mature subject matter. In May 1919, over 30,000 workers shut down Winnipeg in one of the most important moments in our political history. For six weeks, inflammatory social conditions and relations ignited into a major protest over wages, rights, revolution and inequality. The tour will go through highlights of what happened in 1919 and reflects on how the echoes of the strike can be heard in Winnipeg of today. This is a three hour bus tour. Cost is $15 for employed adults. Reserve seats at commgroup@mts.net or call/text 204 793 3289. Confirmation information and location to meet will be sent to you after you register and provide an e-mail. Welcome to MayWorks Festival of Labour and the Arts 2017. This is the 23rd year for MayWorks. The Festival’s first year was 1994 – the 75th Anniversary of the Winnipeg General Strike. 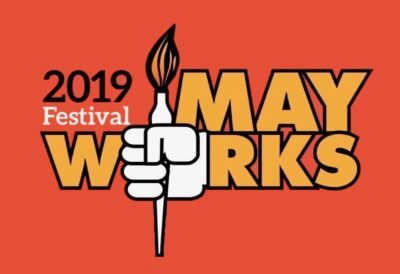 It was those anniversary celebrations that prompted a number of trade union activists to launch the MayWorks Festival as a celebration of working class struggles. 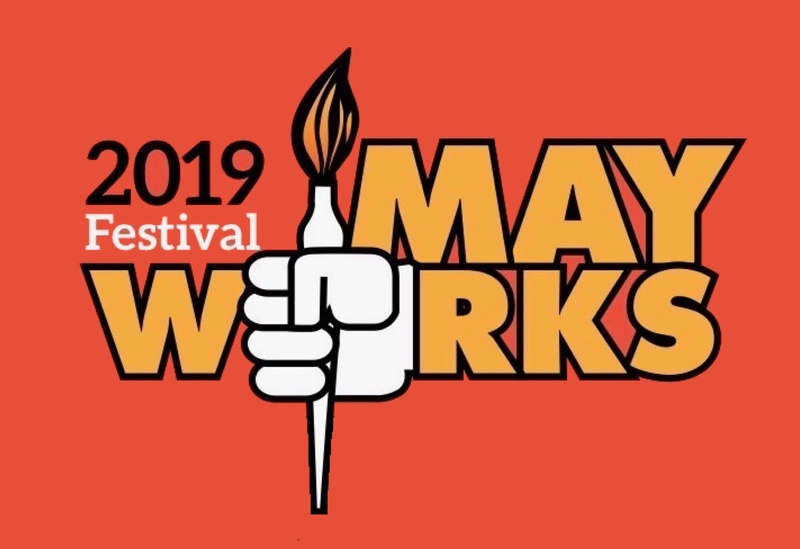 MayWorks offers a mix of events and something of interest to everyone. We have some events that are part of the calendar every year that honour the history of the Strike or unique cultural gems such as the Winnipeg Mandolin Orchestra. This year, MayWorks looks at the effects globalization: “the Good, the Bad and the Ugly”. Events in Britain (the vote to leave the European Union) and the United States (the election of Donald Trump as President) have been part of a mass response to globalization and its effects on working people. In this year’s Festival, we examine the struggles of working people to maintain hard fought victories and forestall defeats in the face of corporate and government push for austerity, as well as ownership and control of all the supplies of food, water, energy and production. On this note the Festival will feature some events dealing specifically with the features of globalization.